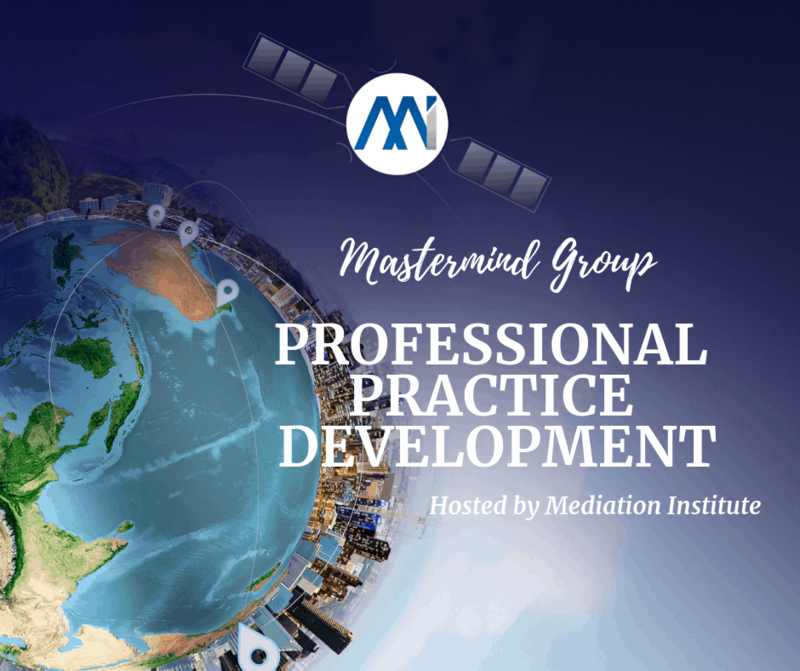 The Dispute Resolution Practice Development Mastermind Group Feb 2019 is a group session for Mediation Institute members who are working on building a professional practice providing or including the provision of dispute resolution services. As the first session for the year it is an opportunity for us to share our goals for the year and set in place our key priorities. The session is informal and guided by the needs and interests of the participants who attend. It is supported by a collaboration group hosted in the Mediation Institute Members course area which members can opt into. Meet and greet – who’s in the virtual room? Sharing of goals for 2019 – what are you hoping your practice will look like on the 31st December 2019? Sharing of one thing that is working well – what part of your goal is on track? Sharing what your current biggest challenge is and ask for help – what is the immediately most important thing that is stopping you from achieving your goal?